This is the collection that I've been waiting for since I saw the release photos online. It released right on time before Valentine's Day. I originally wanted the blushes and some lipsticks from the collection, but since I have so many lipsticks and don't wear them daily, I decided it was better if I didn't buy them. The blush in Prom Princess that I wanted was sold out and I wasn't able to find it in stores since this collection sold out fast. I did get my hands on this Pearlmatte face powder in the shade Flatter Me which was on my wish list! I'm not going to deny it but the packaging is what made me really want it. 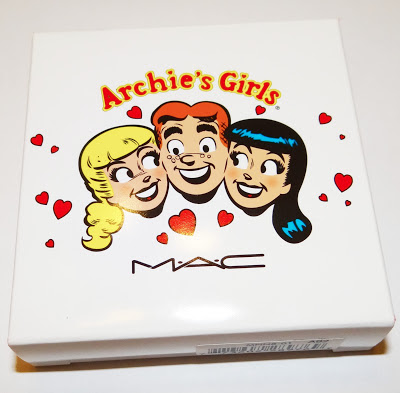 I'm a sucker for packaging and I usually don't buy MAC products unless for the cute packaging or Viva Glam. The box has the same design as the compact. These reminded me of the Happy Booster blushes by Physicians Formula. 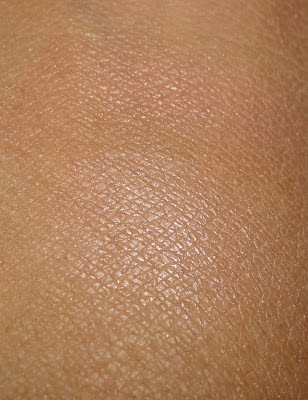 But there isn't any color that is close to this, I've heard that the natural blush could be but I've never tried it so I don't have a comparison. At first it looked like a sticker but it's not thankfully it's printed on this piece that's on the compact. This powder is a warm golden peach color, it does have a gold sheen to it. The hearts are a pink and coral color. The hearts were hard to swatch on their own. I tried swiping over them various times. When mixed all together this gives a nice peachy coral golden color. Top hearts swatch, and bottom is the powder swatch. 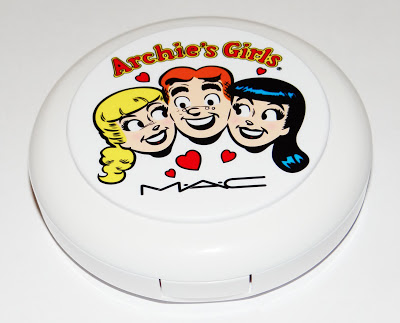 The texture of this powder is very fine, it doesn't go on powdery when blended out. I love this blush as a highlight. The other color powder in Veronica's blush was pink but it had too much silver so I didn't want that one since it may come out as ashy on my skin tone. I talked to a MAC artist and they agreed that this one would be better for me as a highlight.